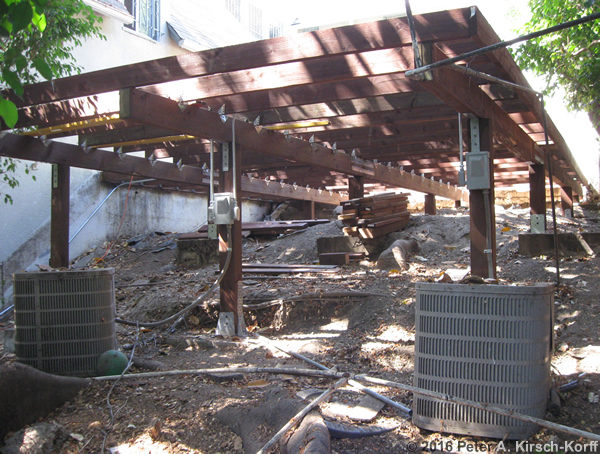 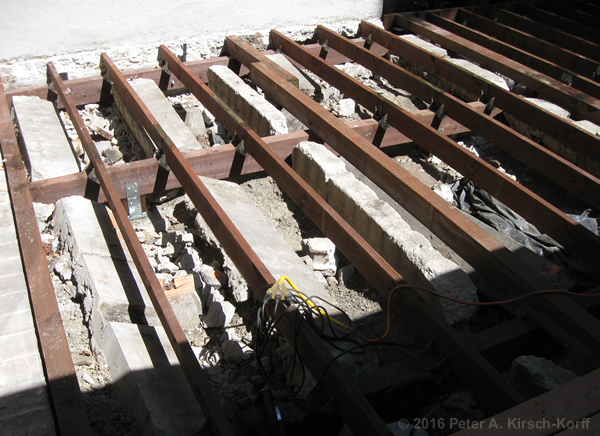 A view of the deck right after demolition of concrete channels that had to be knocked down to make way for new deck footings..
Another view of the deck during construction showing the use of existing pads to build the framing, which saved the homeowner about $3000. 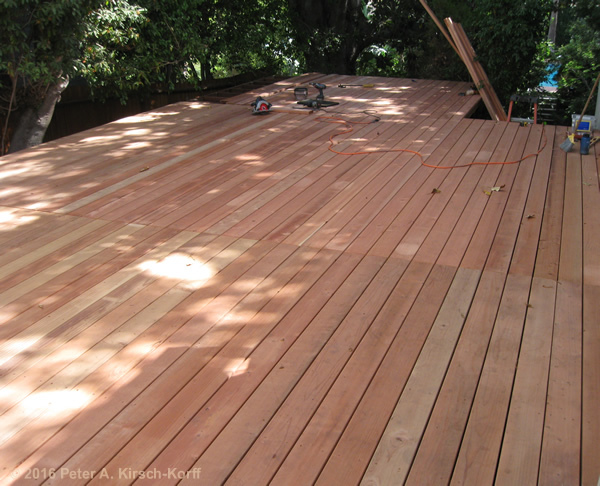 A look at the front of the deck with the decking almost completed. 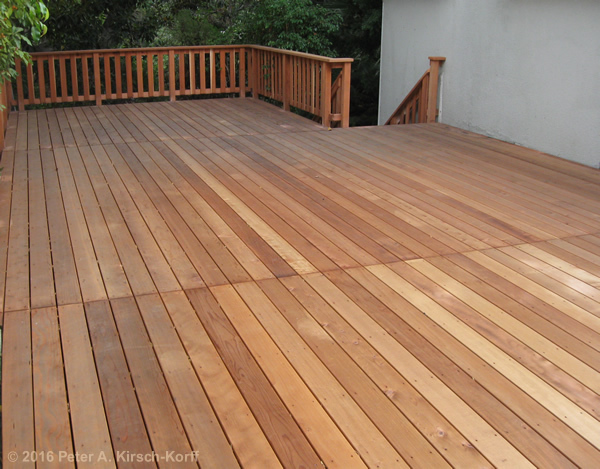 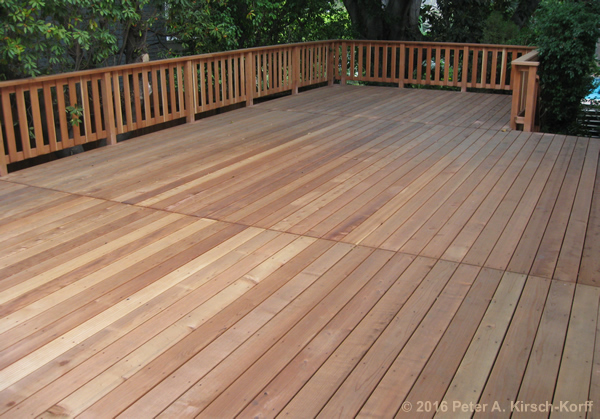 A look at the deck from the same angle when completed and ready for staining. 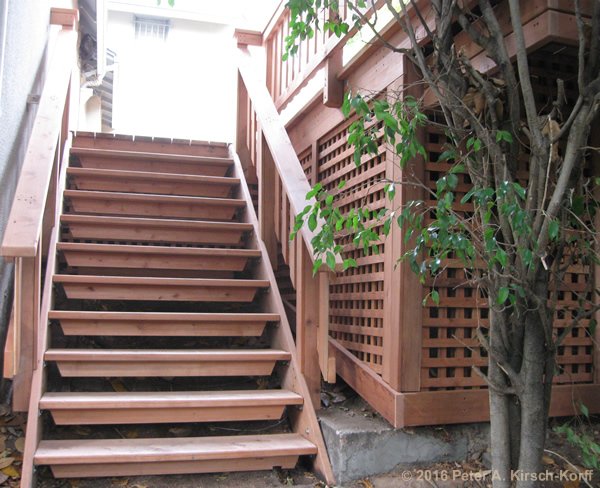 A look at the stairs and lattice covering the underside of the deck and its framing support structure.